Apple on Monday announced a multi-billion euro data center project that will add new state-of-the-art facilities in County Galway, Ireland and Denmark's Jutland peninsula to the company's roster in 2017, with both locations powered exclusively by renewable energy. The new data centers will measure some 166,000 square meters each, and Apple says they will serve content for the iTunes Store, App Store, iMessage, Maps, and Siri for European consumers. 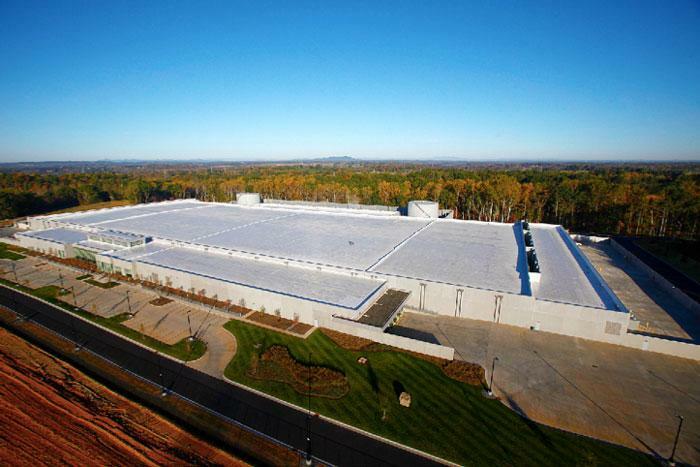 Apple has chosen Athenry, Ireland and Viborg, Denmark to house the server farms. "We are grateful for Apple's continued success in Europe and proud that our investment supports communities across the continent," Apple CEO Tim Cook said in a release. "This significant new investment represents Apple's biggest project in Europe to date. We're thrilled to be expanding our operations, creating hundreds of local jobs and introducing some of our most advanced green building designs yet." The Irish project will include the recovery of land previously used for the growth and harvesting of non-native trees. Apple will restore native flora to the land, and the company also intends to create an outdoor education space for local schools and a community walking trail on the property. Apple will locate its Denmark location adjacent to an existing substation, eliminating the need to build additional generators. The company will also add a system designed to collect excess heat from inside the data center and distribute it to heat homes in Viborg. The company notes that its new data centers will bring the lowest environmental impact of any Apple data center to date, including the recently-opened facility in North Carolina, which includes its own solar farm. "We believe that innovation is about leaving the world better than we found it, and that the time for tackling climate change is now," Apple's environmental chief, Lisa Jackson, said. "We're excited to spur green industry growth in Ireland and Denmark and develop energy systems that take advantage of their strong wind resources. Our commitment to environmental responsibility is good for the planet, good for our business and good for the European economy."